Many Southern Nevada business leaders consider it a priority to invest in local institutions, to help promote quality of life in their community. It might interest some to learn that many nonprofits like The Smith Center for the Performing Arts, as well as organizations like hospitals and universities, rely on planned giving to sustain their operations for generations. Planned giving is a flexible form of donation that involves some form of financial planning. This can include gifts in the form of stocks and real estate, as well as donations left in a will, estate plan or life insurance policy. A wide range of Southern Nevada business leaders who are passionate about investing in their community have arranged planned gifts to local nonprofits, including The Smith Center. These planned gifts can play a significant role in funding nonprofits’ operations, such as The Smith Center’s shows and education and outreach programs. Beyond this, planned giving also often benefits the donors’ own financial interests. With many members of the business community making financial arrangements before the end of the year, I’d like to offer the tips below to help them plan gifts that best suit their needs. Some forms of planned giving can both provide revenue to a deserving nonprofit, while also making income for the donor. This can be helpful for retirement and estate planning. • A charitable gift annuity. By making a cash or securities donation through a contract, the donor receives fixed payments for life. The charity uses the interest and part of the principal to make these payments. • A charitable remainder trust. This establishes the donor or another individual to receive an income stream for a fixed period, with the balance passed on to the recipient organization. • A charitable lead trust. This pays income to a recipient organization for a set amount of years, with the balance going to the donor’s heirs. Many rising professionals want to make a community impact, but they might not have enough assets or resources to make charitable gifts immediately. Various planned giving options, such as designating donations in a will or trust, or listing a nonprofit as a beneficiary for a life insurance policy, allow individuals to pledge a gift so they don’t have to give right now, but at a future date. This way, they can grow and benefit from their assets throughout their lifetimes, and name an organization as the beneficiary of a specifically sized gift upon their death, or at the termination of a trust they might create. If an individual pledges a planned gift this way, the recipient organization can count on that gift coming in at a certain time, and can plan accordingly. Some donors consider this an opportunity to leave a legacy. I take as many opportunities as I can to highlight a change in federal law that has made one form of planned giving easier. It is now possible every year for individuals 70 and a half or older to make tax-free, charitable gifts up to $100,000 per year directly from their Individual Retirement Accounts to eligible charities. This allowance used to be dependent on an annual extension by the federal government, but was recently made permanent. The benefit for donors in this scenario is that they can reduce the gift amount from their gross yearly income, earning a potentially significant tax deduction. There are many planned giving options that can be tailored to an individual’s age and financial needs. The best way to get started is getting an expert’s advice. The Smith Center even offers a financial advisers network providing guidance to donors at no cost. 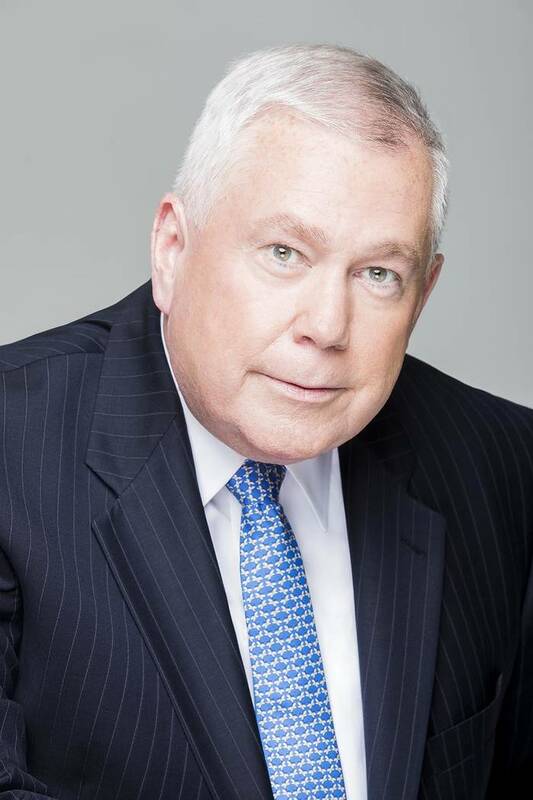 Tim Hanlon joined The Smith Center as vice president of development, following a 35-year career in financial services, including serving as president of Wells Fargo Foundation for 25 years. In his current role, Hanlon oversees donor giving initiatives that fund 25 percent of The Smith Center’s overall operations.